Happy Friday! Today we’re announcing a slight update to how personal munzees operate. 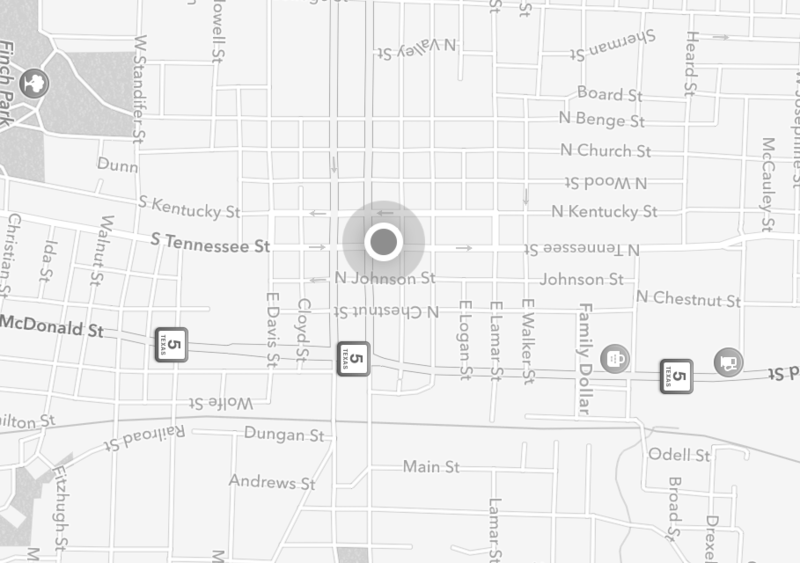 Previously the owners of a personal munzee were able to deploy up to 3 times per day in new locations by scanning the munzee in the location they wanted to deploy it, leaving the munzee open for capture up to one mile away. You are now able to deploy your personal munzee up to 10 times in a day! 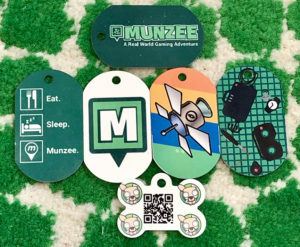 Deploying a personal munzee multiple times in a day allows for players to deploy at events and then walk around the area while still being able to have their personal munzee captured. As a reminder, personal munzees are exempt from proximity rules, so there can be deployed anywhere you wish up to 10 times in a day now. You can pick up your own personal munzees from the Freeze Tag Online Store! New Generic Grab Bags for Sale! Tomorrow marks the first day of spring at MHQ, which has us feeling particularly warm. We decided to celebrate by putting $5 Grab Bags featuring our new generic designs in the Freeze Tag Online Store starting today at 15:00 MHQ time! You’ll get over $5 worth of generic munzees in each Grab Bag, including the existing mini urban and urban camo designs, as well as some brand new designs featuring a variety of different themes! Each Grab Bag will include a random selection, so you don’t know which design you’ll get. The Grab Bags will remain in the store until we sell out, so be sure to shop now to avoid missing out! Help us celebrate the spring (or welcome the fall if you’re around the world) by picking up a bag today! Melt the ice, and Munzee on! 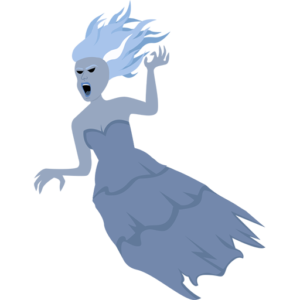 Introducing the Banshee Mythological Munzee! What’s all that wailing about?! Cover your ears, because our latest Mythological Munzee is shrieking her way into the game! 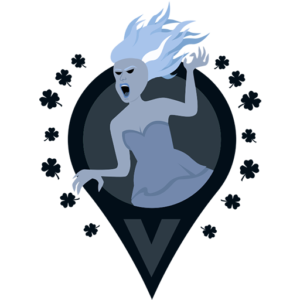 The Banshee Munzee is based on the wailing widow of Irish Folklore and will be available for purchase on March 15 at 10:00 MHQ time. Just in time for St. Patrick’s Day! You can find the Banshee Munzee bouncing around on Greenies, Shamrocks, Black Virtuals, and Air Mystery Munzees every 12 hours or when captured. Each Banshee Munzee is numbered and will be owned by a player. You can pick yours up for a limited time from the Freeze Tag Online Store for $15! Just be sure to set your reminders for 10:00 MHQ time tomorrow to snag one before they sell out! At a more affordable price point, the Banshee will work a bit differently than other Myths that have recently been released. The Banshee Munzee will NOT include the ability to nudge or rename. However, you will be able to use a Bouncer Upgrade Credit to give her nudge and renaming abilities. Upgrading your Banshee will give it the ability to land on Green Virtual Munzees. This new upgrade feature will make it more likely to capture, with 10 additional colored virtual landing pads. You can find the full list of what it bounces to below. The upgrade credit will also give you the ability to “nudge” your Banshee Munzee to a new munzee up to three times a day, following the MHQ 24-hour day, after it has been on its host Munzee for at least three hours. This nudging ability is only available for the owner via the munzee’s webpage and is not available in the app. Your munzee will still retain its unique number, but feel free get creative when it comes to renaming your Banshee Munzee! (Know any wailing women in your life you want to immortalize?) Just be sure to follow the Player Code of Conduct, and remember Munzee maintains a family-friendly environment. Are you looking to attract one of these wailing women? You’re in luck! Like the Mermaid and Fairy, the Banshee Munzee will be attracted to magnets! 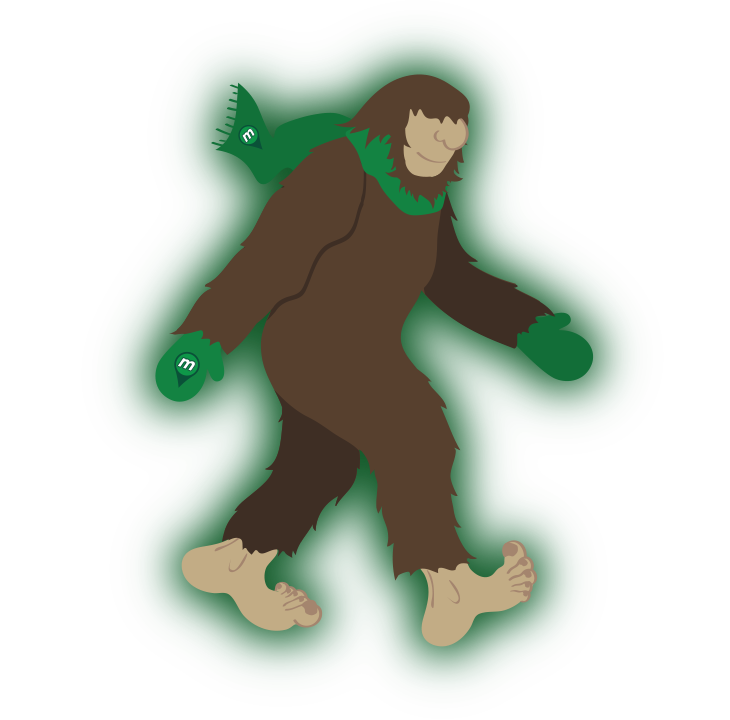 Pick up your Munzee Magnet for $1 to attract up to three Seasonal Specials or Mythological Munzees for up to one hour! You can also purchase a Virtual Munzee Magnet for the same price in order to increase your chances of attracting our latest Mythological Munzee. The Banshee Munzee will be attracted to magnets in both physical and virtual forms. Description: The Banshee Munzee bounces around on Greenies, Shamrocks, Black Virtuals, and Air Mystery Munzees every 12 hours or when captured. Each is numbered and owned by a Munzee player. Only 1 Banshee Munzee is allowed per player. To help find the Banshee Munzee, turn on “All Expiring Specials” and “All Mythological Filters” under the Premium heading. There is not currently a traditional line of badges for capturing the Banshee Munzee, but these will count toward the Myth Hunter badge line. Stay tuned for a line of badges similar to the other Myth Ranker badges soon! There might even be a couple of surprises if you’re brave enough to catch a few! 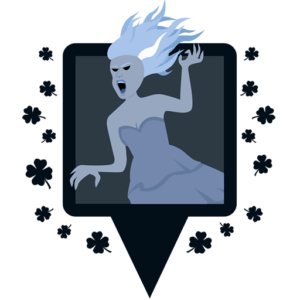 Right now you might be screaming with joy, but if you encounter this Banshee, your shrieks might turn to terror! Lions, Dragons and Billy Goats oh my! The final Classical AlternaMyth has launched on to the map and this amalgamation of mythological beings is the leader of the pack! Bow down to the Chimera AlternaMyth Munzee! As with the other AlternaMyths these Mythological Munzees are deployed on behalf of our HQ staff’s accounts, thus super rare. You’ll get 200 points for capping the Chimera. Owners of the host munzee will also earn double the points of the Chimera’s many-headed cousin, the Hydra. 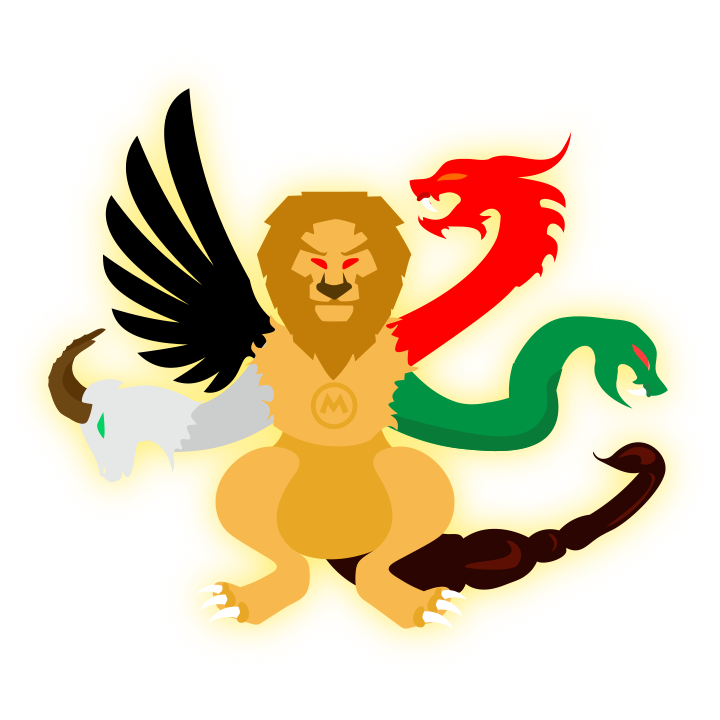 This may be the AlternaMyth to the Hydra Mythological Munzee, but the Chimera is so much more! This creature is made up of a lion, a goat, a snake and a dragon, with the wing of a Pegasus and the tail of a scorpion for good measure. As such Chimeras are attracted to a wide variety of landing pads. Chimeras may land on an assortment of munzees, but you can take your traps a bit further by using either a physical or virtual Munzee Magnet!– Chimeras are attracted to both! You can grab Magnets in the Freeze Tag Online Store along with a variety of different Chimera capturing codes. In celebration of the final Classical AlternaMyth we’ve also released a Chimera decal sticker and a new Chimera Elemental Pack featuring physical Elemental Munzees. This package is available for $7.50. 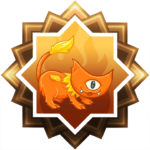 Capturing a Chimera will also count towards the Myth Collector badges so be sure to keep your eyes peeled for those mixed up munzee maniacs. Good luck on your journey and Munzee on! Go To Battle With The Ogre AlternaMyth! Leprechauns may be better known for their greenie-ness in March, but this month we’re excited to introduce you all to a not-so-jolly green giant! Say hello to the Ogre AlternaMyth Munzee! As with the other AlternaMyths these Mythological Munzees are deployed on behalf of our HQ staff’s accounts, thus super rare. You’ll get 200 points for capping the Ogre. Owners of the host munzee will also earn double the points of the Ogre’s ferocious friend the Cyclops. As the AlternaMyth to the Cyclops Mythological Munzee the Ogre’s hunger for jewels is only overcome by his thirst for battle! Ogres are attracted to greenies, physical and virtual Jewel Munzees, as well as physical and virtual Clan Weapon Munzees*. *Ogres are not currently attracted to Catapult or Boulder Munzees, but may be in the future. 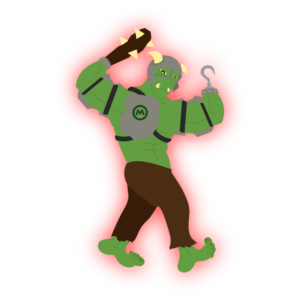 Ogres can be a bit tough to handle, but you might be able to trap one with a Munzee Magnet! You can also show your Ogre pride with a new decal sticker. You can find Magnets, decals stickers, Jewel Munzees and more in the online store! Capturing an Ogre will also count towards the Myth Collector badges so be sure to keep your eyes peeled for those ferocious fighters. Good luck on your journey and remember to Go Green! Introducing the Fire Pouch Creature Munzee! UPDATE: Due to player requests we have increased the point values to the three Tuli levels. We have also decreased the amount of time the Tuli will take to bounce from 12 hours to 6 hours. Changes are listed below in red. Thank you all for your input! In November we released the final member of the Classical Mythological Munzees, the Cyclops Mythological Munzee. Now we’re proud to announce a new era – the Pouch Creatures. The first Pouch Creature being released is the Tuli Pouch Creature Munzee. The Pouch Creatures are based on items from one of our sister apps, WallaBee. These creatures, while similar to Mythological Munzees in many respects, have some different qualities. The Tuli Pouch Creature Munzee will bounce on Greenies and Fire Mystery Munzees every 6 hours or when capped. After 25 captures, however, the Tuli Pouch Creature Munzee will begin to level up. 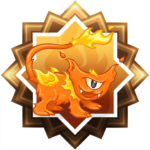 When the streak is broken, the Fire Pouch Creature will revert to Level 1 and the leveling process begins again. There will be 1800 Tuli Pouch Creature Munzees available for $20 in the Munzee Online Store TOMORROW (Friday, February 23rd) at 10:00 MHQ time. These will be sold on a first come, first served basis, and there is a limit of 1 per account. That’s not all, though. We will also have a limited number of each of the previous Mythological Munzees available as well. 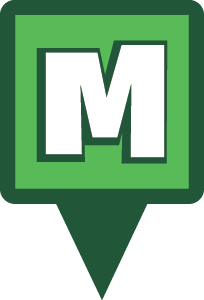 If you’ve missed previous ownership opportunities or are a new player who wants to get in on the Mythological Munzee action, this is your chance! As always, you can only own one of each type of Mythological Munzee. We hope you enjoy the Tuli Pouch Creature Munzee! Fall In Love With The Cherub AlternaMyth! It’s Valentine’s Day and love is in the air! What better day than today to introduce you all to our new AlternaMyth friend: The Cherub! Watch out for that arrow, unless you’re looking for love that is! As with the other AlternaMyths these Mythological Munzees are deployed on behalf of our HQ staff’s accounts, thus super rare. You’ll get 200 points for capping the Cherub. Owners of the host munzee will also earn double the points of the Cherub’s earthbound cousin the Faun. As the Faun’s cousin this cute cloud soarer is attracted to Earth Mystery Munzees, but Cherubs will also hover to all colors of Virtual Munzees, Mystery Virtual Munzees, and MVMs as well as Air Mystery Munzees every 12 hours or when captured. 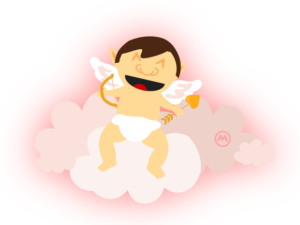 Cherubs are sure to be busy on Valentine’s Day this year, but luckily you can slow one down with a Virtual Munzee Magnet! You can add Virtual Magnets to any color of MVM and they will attract Cherub, Pegasus, and Fire Pegasus munzees. Capturing a Cherub will also count towards the Myth Collector badges so be sure to keep your eyes peeled for those friendly flyers. Good luck on your journey and Happy Valentine’s Day! 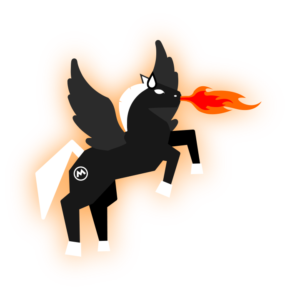 Announcing The Fire Pegasus and Virtual Magnets! As we welcome the new year, we’re also excited to welcome a new AlternaMyth- set the skies ablaze with the Fire Pegasus Mythological Munzee! As the first Classical AlternaMyth these winged creatures are sure to light the way for you in your Myth searches. As with the other AlternaMyths these Mythological Munzees are deployed on behalf of our HQ staff’s accounts, thus super rare. You’ll get 200 points for capping The Fire Pegasus. Owners of the host munzee will also earn double the points of a normal Pegasus. This fiery flyer is just like the normal Pegasus and hovers to all colors of Virtual Munzees, Mystery Virtual Munzees, and MVMs as well as Air Mystery Munzees every 12 hours or when captured. As the name may allude, the Fire Pegasus will also bounce to Fire Mystery Munzees. Although this Myth’s blazing speed will make it a tough one to find, we’re excited to announce the release of the Virtual Magnet as well! Much like the regular Munzee Magnet the item will attract up to three Mythologicals for up to one hour. You can add Virtual Magnets to any color of MVM and they will attract Pegasus and Fire Pegasus munzees. — Virtual Magnets have been temporarily disabled in-app until the launch of 4.0. Virtuals CAN still be magnetized through the web. Like the Munzee Magnets, Virtual Magnets are $1/each with a limit of 10 every 10 days. 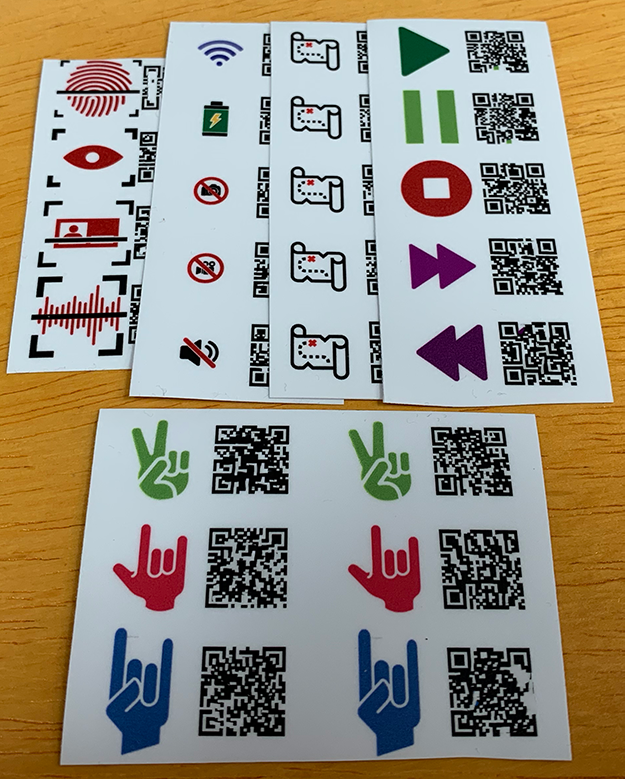 Virtual Magnets are available NOW, and you can find them in the Munzee Online Store here. Be on the lookout for even more uses for the Virtual Magnet in the near future, too! 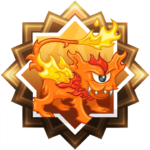 Capturing a Fire Pegasus will count towards the Myth Collector badges too. Good luck chasing these high-flying, fiery friends! Chill out with the Ice Dragon! We’re excited to announce that The Rainbow Unicorn and Gnome Leprechaun have a new friend- The Ice Dragon! This new AlternaMyth may be a bit cold on first greeting, but he’s sure to warm up to you in no time. As with the other AlternaMyths these Mythological Munzees are deployed on behalf of our HQ staff’s accounts, thus super rare. You’ll get 200 points for capping the Ice Dragon. Owners of the host munzee will also earn double the points of normal Dragons. 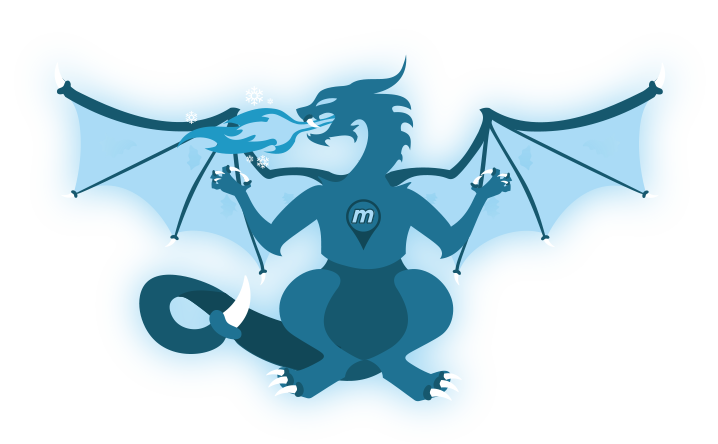 Similar to normal Dragons, this icy fellow is still a fiery force to be reckoned with and bounces to Greenies and Fire Mystery Munzees every 12 hours, but as the name suggests will also be attracted to Ice Mystery Munzees. You can also pull one of these rare globetrotters closer to you with a Munzee Magnet. Capturing Ice Dragons will count towards the Myth Collector badges too, so don’t get cold feet! 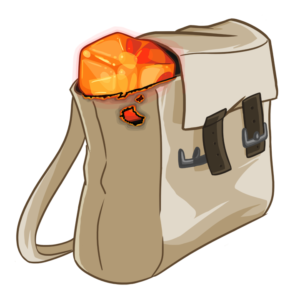 To celebrate the new AlternaMyth some Authorized Munzee Resellers will be offering discounts on Fire and Ice Mystery Munzees, so be sure to check out their individual stores! Good luck chasing these chilly creatures and be sure to dress warm- and bring a fire extinguisher!